If you find a political party that you agree with you can pay a fee (usually only small if you’re under 25) to join the party. This allows you to get more involved in the party, helping them campaign for upcoming elections and you may even be invited to attend events. Sign or create a petition. E-petitions are an easy way for you to influence Government. You can find petitions to sign on the E-petition website or create an e-petition about anything that the government is responsible for and if it gets at least 100,000 signatures, it will be considered for debate in the House of Commons, where MPs will debate the issue and may even act on it. Speak to your MP in person or via a letter or email. If you’re not happy with something in your local community you can write to your MP or Local Councillors and ask them for their help. They’re often more eager than you think to help in whatever way they can. Most MPs try to respond to all of their correspondence (as long as it’s sensible). Get involved with pressure groups and campaigns. Pressure Groups are organised groups of people who come together, outside of the government, with a common cause in order to influence government policy. Some notable examples include Greenpeace, BMA (British Medical Association), CBI (Confederation of British Industry), the National Trust, and groups like the RSPCA. See Wikipedia’s List of UK Pressure Groups. These groups may also inform you about protests and demonstrations. These groups usually combine like-minded people in order to make a bigger impact on parliament than individuals alone. Submit evidence to a committee inquiry or on a bill. Committees work in both Houses (Lords & Commons). They check and create reports on areas ranging from the work of government departments to economic affairs. Results of these inquiries are public and many require a response from the government. When a Select Committee launches a new inquiry they often request written evidence from people who have an interest in the topic. Committees considering a Public Bill may also choose to request written evidence from relevant organisations and the public. They can also hear oral evidence from interested individuals, just like select committees, as part of their consideration of a Bill (find out more). These committees often hear from the same experts and private companies, so they are often really interested to hear points of view from the public. If you need some advice about submitting evidence to a committee give them a call, they’re very friendly and happy to help! 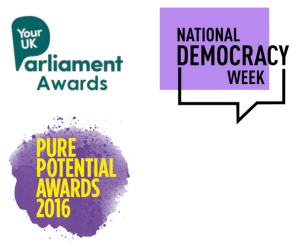 This video from UK Parliament tells you more about the ways in which you can have your voice heard.